About Us Services Artist Listing Artist Services Specifications Join Us! Organiste announces a new resource now available to artists and presenters of the classical arts. 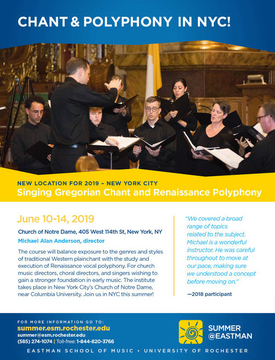 Following its mission to heighten the awareness of the classical arts and the pipe organ, Organiste has created a resource for members of the classical arts community to connect and to keep the community advised of the latest news and happenings. 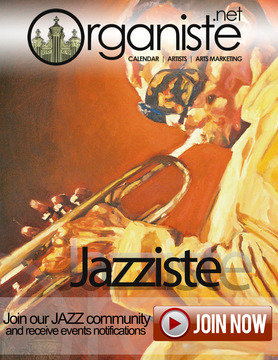 Become a premier member and post your own events on the website, www.organiste.net, for free. Keep the community advised of all that is happening in your organization. To become a premier member, register on the website. Your flyers/posters/jpg images can then be posted on the calendar, organ, and season schedules pages. Text articles and press releases can be posted on the InSights eNews page with one photo. All registrations and submissions will require approval before uploading. Organiste reserves the right to edit submissions. Submission does not guarantee posting.